Central America is a privileged area surrounded by some of the most astonishing beaches in the world, perfect weather all year long and the high spirit of its easygoing population. Doesn’t this sound like a perfect setting for a yoga retreat? If you agree, you’re not alone! 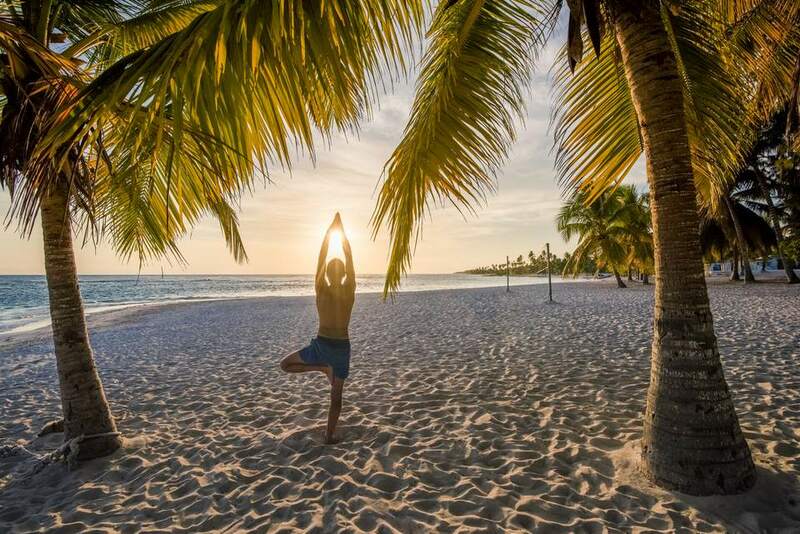 Every year, thousands of yogis decide to practice their best poses in the middle of the amazing wildlife of Guatemala, enjoying the breathtaking sunsets in Costa Rica, or immersing in the unique blue tones of the Caribbean Sea. If you’re interested in going on a yoga retreat in Central America, below is a list of five of the best year-round programs you’ll find in this region. They offer all the things a yogi can expect out of this experience, qualified instructors, healthy food options, and all the yoga sessions needed to deepen your practice. You won’t find a more authentic yoga retreat experience! The Ahimsa Yoga Ashram is a magical location in the jungle of ​Nicaragua, away from the noise and stress of the city. During the retreat, you will have daily yoga classes focusing on the various elements of yoga, with personal assistance from a certified yoga teacher to solve any doubts and correct your alignment. The yoga sessions are complemented with lectures on yogic philosophy in which you’ll learn about Ayurveda, chakras, energetic protection, healing, Reiki, and many more fun workshops to learn different things like bread baking, spoon carving, chocolate making, and even circus skills and juggling! And don’t worry about the food, there’s daily homemade lunch, as well as vegan breakfast and dinner. Yoga retreats might sometimes look like expensive holidays that not everyone can afford, but that’s not always the case. Fortunately, there are really affordable yoga retreats such as this one by Casa Zen Guesthouse and Yoga Center. It has a wide variety of choices for all travelers, from private rooms, space for small groups or just a bed in a dorm. But don’t get tricked by its low prices, the offer is still quite complete with daily breakfast, unlimited Hatha and Vinyasa Yoga classes, all the props available for your perusal and the guidance of top-notch instructors. Additionally, you can try a bike tour, canopy, horseback riding, stand-up paddle boarding, snorkeling, or surf to complement your trip and explore the beauty of Costa Rica. If you’re visiting Central America, the least you can do is try to speak the native language. This yoga retreat in Montezuma wants to help foreigners to learn some Spanish, so it offers 2 hours of classes per day with professional teachers that will introduce new speakers to the language or improve the skills of more advanced students. And of course, this retreat includes one yoga session daily, a relaxing massage and delicious healthy breakfast every morning. Additionally, there are excursions to Tortuga Island, diving, snorkeling, kayaking, fishing, and many more activities to complement your vacations in this magnificent part of the world! This is a truly unique yoga retreat because of its peculiar venue: A boat! It is held on board a catamaran that sails the Caribbean, starting in Panama through the San Blas Islands. But don’t you think you’d be stuck in the middle of the sea for 7 days, there are various excursions and jungle hikes among nature. If you love the combination of surfing and yoga, this is the retreat for you. It includes unlimited use of surfboards and an exclusive guided surf tour to help you find the best waves. And of course, you’ll enjoy daily yoga sessions to relax and stretch with some of the most spectacular views in Central America. All the meals are included; the food is locally sourced and vegetarian and vegan options are available. Along with yoga, plant medicine is the main concept of this shamanic retreat. Besides two yoga classes daily, the program includes activities like medicine ceremonies; Reiki and meditation sessions; coca leaf and egg readings; tobacco purge; ayahuasca; and many more lessons to understand the healing use of plants. Indeed, every day you prepare a bath with various herbs to wash away the negative energies. Even though you’ll be guided by highly qualified instructors, the Lake Atitlan, the forest and all the volcanoes that surround the beautiful Mayan village where this retreat takes places, will become the greatest teachers on this transformational journey that explores the union of yoga and shamanism.